A former KGB colonel who knew Lee Harvey Oswald spoke with RBTH about Oswald's life in the Soviet Union as part of our commemoration of the 50th anniversary of the assassination of John F. Kennedy. Oleg Nechiporenko, a retired colonel in the KGB, knew the man who shot President John F. Kennedy. In September 1963, Nechiporenko was working at the Soviet embassy in Mexico when Lee Harvey Oswald applied at the embassy for a Soviet visa. Nechiporenko remembers Oswald acting strangely and he was denied a visa. Two months later, Nechiporenko was at work in the embassy when he learned that Kennedy had been shot. In the years since his retirement from the KGB, Nechiporenko wrote several books about the 1960s and the Kennedy assassination. He spoke with Nikolai Dogopolov for RBTH about the era in honor of the 50th anniversary of Kennedy’s death. Russia Beyond the Headlines: So many conspiracy theories have arisen in the 50 years since Lee Harvey Oswald climbed into the School Book Depository in Dallas. There are the American oil barons, who plotted to stop Kennedy from bothering them, the plots of Cuban radicals, and even the schemes of the Soviet secret police. Oswald called himself a scapegoat in front of television cameras. It's time to put an end to these secrets. Oleg Nechiporenko: I have my own opinion on this story. I do not agree that he was a scapegoat, unlike some of my former colleagues from intelligence. RBTH: Let's start with the simple facts. After all, Oswald, who went to the Soviet Union on a tourist visa and asked for political asylum in 1959, was well known by the KGB. So the KGB had files on Oswald? O.N. : What do you think? Six bulky files covering the two-and-a-half years that he lived in the Soviet Union. Just imagine – the year was 1959, a severe iron curtain had fallen between the two countries, and then suddenly a former Marine declares himself a Marxist, wants to help build a socialist society, and requests Soviet citizenship. The case was extremely rare and caused a reaction in the highest ranks. The KGB was involved in it too. RBTH: Figuratively speaking, the security services had Oswald "under a microscope"? O.N. : Without even speaking figuratively, he was under a microscope from his first day in the Soviet Union as a tourist, Oct. 16, 1959, to the day of his departure in May 1962. Back then, two KGB divisions handled foreign tourists. The First Chief Directorate (PGU) was interested in recruiting possible candidates to be foreign agents. The Second Chief Directorate – counterintelligence – identified secret agents of the enemy. But Oswald was ahead of the game. Already on the second day after arriving in the Soviet Union, he asked his guide Rimma S. to help him fill out an application for Soviet citizenship. RBTH: And that Rimma S. was your agent? O.N. : Almost all the Intourist employees worked with us. Such were the times. He was immediately given the code name "Nalim" [Russian for burbot – a cod-like freshwater fish], was examined and considered by the KGB, military intelligence, foreign affairs, the visa office, Intourist, and the Red Cross. The decision to reject the application for citizenship was made by Foreign Minister [Andrei] Gromyko, KGB Chairman Valdimir Semichastny and comrade Anastas Mikoyan himself, who oversaw international issues in the government and the Central Committee of the party. RBTH: Why did they call him Nalim? O.N. : Nalim was chosen because our employees had a decent imagination. Lee Harvey Oswald, if you look closely at his photo, actually looked somewhat similar to this big fish. And I must say that his energy was amazing. When his application hit a snag, he managed to pester everyone and everything. And he didn't even know Russian. He wrote letters, begged, and when his citizenship application was denied, he tried to commit suicide. He cut his veins, ended up in Botkin Hospital. But he didn't make the cut very deep, just frightened us a with a little blood. And then everyone, including the KGB, realized that Oswald was not your average petitioner. If he set himself a goal, he would not give up. They decided not to give him citizenship, just granted temporary residence on the territory of the USSR. RBTH: Didn't the intelligence and counterintelligence try to use him as a agent? O.N. : Counterintelligence just needed several weeks to observe him and gave their verdict: "There is no interest in respect to American citizen Lee Harvey Oswald." The First Chief Directorate didn't need him either, what secret information could he have possibly provided. RBTH: Was Oswald a Soviet agent? O.N. : Never. No one even attempted to recruit him. He was a persona non grata for our special services. Moreover, they had doubts about him, they did not rule out the possibility that he was spying for the Americans. And when he moved to Minsk, they were happy to hand him over to the Belarus KGB. As former KGB Chairman Semichastny recalled in a conversation with me, "they performed routine surveillance of Oswald, using agents, operational equipment, field surveillance." RBTH: Why did they move him to Minsk? O.N. : They wanted to send him to the Baltic states, but Oswald absolutely refused. It was hard to get him to agree to Minsk. But he moved, he went to work in a radio factory as a low rank controller, and the Center lost interest in him. RBTH: It must have been hard for Oswald to live on a low rank controller's income. O.N. : The Central Committee of the Communist Party issued him 5,000 rubles through the Red Cross, they gave him a salary of 700 rubles, and he got a free apartment. RBTH: But Oswald decided to leave for the United States. O.N. : He turned out to be lazy. He worked in a slipshod manner. As for Marxism -- he was not interested in anything. He didn't learn Russian. But he did go to all the parties, loved girls, married 20-year-old Marina Prusakova. That's all of his achievements. In Minsk they didn't even keep him under serious surveillance. They got a feeling that he was thinking about leaving, so they didn’t want to risk exposing people. But when there were difficulties with leaving, he again displayed extraordinary energy and resourcefulness. It was found that, contrary to his claims, he had not given up his U.S. citizenship. He left with Marina, his young wife from Minsk, who had born him a child, and everyone breathed a sigh of relief. That egotistic and nervous guy cost us a lot and was so useless. After he left, the conclusion was unanimous: "During the entire time Oswald was under our surveillance there was no evidence that he had any association with U.S. intelligence agencies." 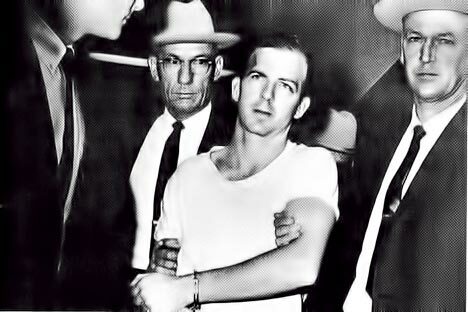 RBTH: Could a man like Lee Harvey Oswald have acted alone in killing the U.S. president? Think of all the American security, and he was even a bad shot. O.N. : He could have killed him alone. And who told you that Nalim was a bad shot? Back in Minsk he bought a single-shot hunting rifle that he would use sometimes when he went hunting. And in the States he obtained a rifle too. RBTH: You were one of the three employees of the Soviet Embassy in Mexico City who spoke with Oswald when Nalim applied for a Soviet visa shortly before the assassination of Kennedy in Dallas. Why did you refuse him? What alarmed you? O.N. : After Kennedy's assassination, the Americans found our papers refusing his request to enter the Soviet Union. Can you imagine what a mess that would have been if we had granted him a visa? On Sept. 27, 1963 Lee Oswald came to the embassy. At the beginning of the conversation he was kind of distracted, but then he concentrated. He talked about his life in Minsk, about marrying a Soviet citizen. He explained his desire to go back to the Soviet Union was due to the fact that he was under constant surveillance by the FBI. He spoke with irritation, then with excitement. He seemed to be a very neurotic man. Of course, Oswald was under our control in Minsk, but the thought of possibly collaborating with him did not arise over our hour-long conversation. He had a second conversation at the embassy with two of my colleagues. They, too, thought he seemed neurotic, which he actually turned out to be. RBTH: So how did he manage to kill Kennedy? O.N. : In short, he just got incredibly lucky. But for Kennedy, for America, for us, it was terribly tragic. On November 22, 1963, he chose one of the most suitable places on the route of the presidential motorcade – Dealey Plaza in Dallas – from which to aim at the president. There are two turns here: one was a 90 degree turn, and for the second the motorcade had to make a 120 degree turn. Oswald worked in the book warehouse right on the motorcade route. He could enter the building freely and hide his rifle with telescopic sight in advance. And, surprisingly, the buildings along the route were not inspected by the police, because the Secret Service usually did not require such searches. In order to understand the situation better, I have consulted with Russian law enforcement agencies in this research. Their leader confirmed the choice was perfect. And he, too, thought a schoolbook warehouse made a good shelter, where the shooter had an opportunity to fire accurately with a support. This greatly improves shooting accuracy. The angle of the shot and the target, along with the slope of the street, made it easier to ambush the motorcade. RBTH: Do I understand correctly that even an average sniper would not have missed? O.N. : Yes. And experts also believe that all of these conditions would have reduced the need for the shooter to have any special training. It is safe to say that high efficiency firepower is enough for even a middle-class shooter. Oswald's three bullets reached their target.